Home Uncategorized 5 Reasons to Give *Glamping* a GO! While there are almost too many reasons to try out Glamping to count, we’ve broken it down to a few of our favorites! Yes, swimming in the river, hiking, mountain biking, etc. are all amazing activities to try during your stay, but when you’re ready to freshen up, our luxurious bath house awaits you! No need to pack a tent, bed, lights, etc….Leave all that to us! Exploring the great outdoors shouldn’t be such a chore! Yes, sleeping under the stars is amazing, but sleeping on the ground? Not so much! All of our sites are equipped with memory foam mattresses to ensure a GREAT nights rest! 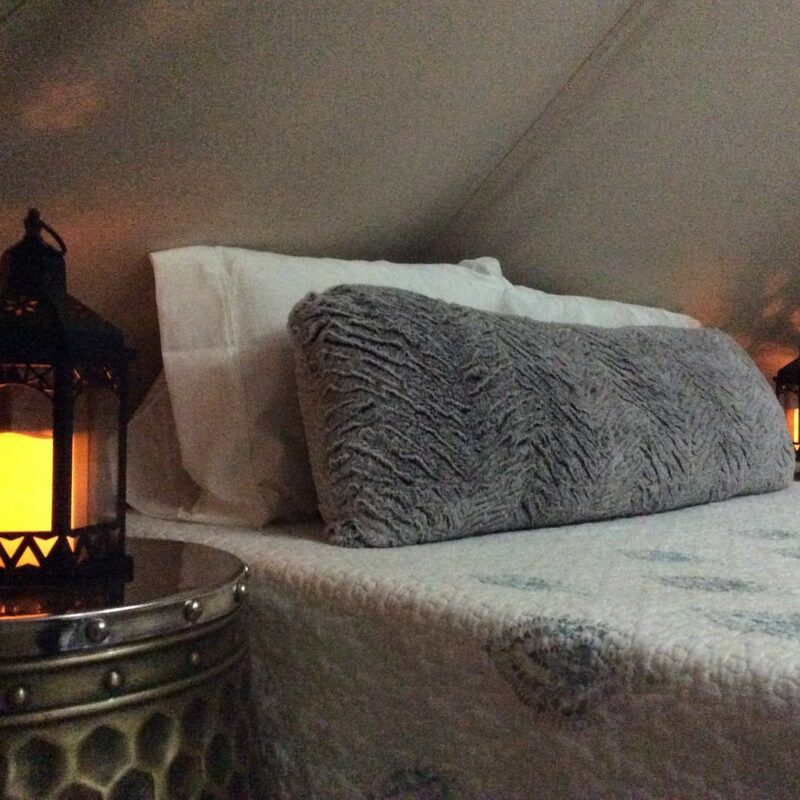 Our glamping sites are situated on a 162 acre tract of land overlooking the French Broad River and embraced by the Pisgah National Forest on two sides. 30 acres of open meadow with breathtaking views and wide open starry skies from each site adjoin an additional 111 acre forested conservation area. Need we say more? Whether you visit with friends/family or fly solo, your glamping experience at Paint Rock Farm is certain to be a memorable one!